The ScripTouch signature pad line integrates simply and seamlessly in any environment and lasts for many years. All pads are verified Citrix Ready. 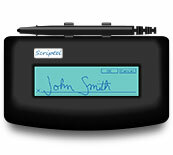 Give signers an even better experience with backlighting, Scriptel"s new Desktop LCD lets you do just that.